Growing numbers of people today are concerned about potentially harmful synthetic ingredients in food, personal care products, and household cleaning products. And rightly so. There are over 12,000 synthetic chemical ingredients used in the personal care industry alone – many of which haven’t been fully studied over long periods of time to prove safety. Some have, and a few may be fine, but many many more… not so much. Some may have been deemed ‘safe for use’ in certain small concentrations in a given product formulation, but the fact that 1) these products are generally used in combination with many other daily routine products, and that 2) many of these synthetic chemicals can build up in your body systems over time, is never taken into consideration when the short term safety studies are conducted. 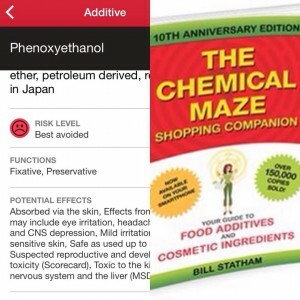 At the same time, obsessing and worrying about toxic ingredients in foods and products can create just as many issues with your body’s toxic burden through stress chemicals and such. Personally, my choice to use truly organic personal care and household cleaning product options, and eat real, organically-grown food as much as possible (including our choices in nutritional supplement products), is about drawing nearer to my Creator’s heart and how He has provided for all humanity through nature – one byproduct of which is avoiding many toxic synthetic chemicals in our daily routines. By making these choices for our household and regular routines, we can live without fear or worry about what foods we might eat or products we might use while out and about in community with others who may not be concerned with such ingredients, because we know that a) our bodies have been designed to handle a certain amount of toxic exposure anyway and that b) we are doing what we can to align ourselves with the natural designs in creation for nutrition, hygiene, and healing. We also know that ultimately, God is sovereign and can both heal our diseases and/or carry us through any times of suffering, including those that might lead through death. Death is just the gateway to more life for anyone who trusts in Jesus anyway, so we need not worry and obsess about things like daily toxic exposures. We just seek to align ourselves more and more in our daily choices with His heart and creation and trust Him fully for whatever each new day will bring. Current subscribers will get the details on how to enter the giveaway in the August 25 issue of MiCommunity – so watch your inbox. 🙂 New subscribers can also enter through the details coming out in the August 25 issue, BUT will get one instant giveaway entry just for subscribing to MiCommunity, with the code #ChemMazeGiveaway in the ‘How you found me’ field, any time between now and August 24th. Below is the interview Narelle conducted with Bill on July 31. Please note – the giveaway mentioned in the interview has already passed, but you can subscribe to my inbox magazine here for an instant entry into the August 31st giveaway I’m running with Bill now (or, current subscribers, watch your inbox on August 25 for details). It sounds like a wonderful resource! As a Miessence user myself, they are truly the purest products I’ve ever used. I highly recommend them to anyone looking clean out their cabinets.